Script Supe for the Filmmaker’s Soul! My very good friend and talented editor Justine Gendron is this weeks guest contributor! Justine is an editor and script supervisor based in Chicago and her reel boasts of various indie films, documentaries and music videos. We worked together on various films some of which you can see at the end of this post. 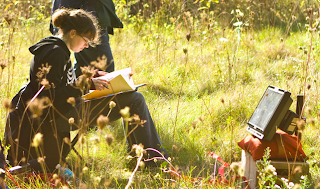 In this blog post she tells us about the important, complex job of a script supervisor. A crew member most of us forget about. Read, learn and share your thoughts! Imagine what a set would be like if there was no Script Supervisor. I think it would be more chaos than it already is. 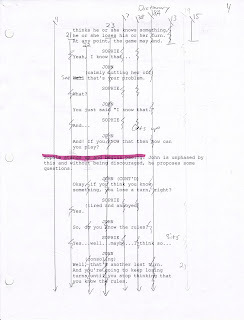 The Script Supervisor can answer the questions: What take is this? Which hand was the coffee cup in? Will this cut together? Line?! The Script Supervisor is in constant communication with nearly every other crew member and talent. Starting in pre-production, a Script Supervisor works with the Director, Cinematographer, and 1st AD to break down a script. A Script Supervisor can also time the script with the Director and observe and help at table reads and rehearsals. During production, the Script Supervisor’s role is non-stop; they talk with the Costumer and Production Designer making sure everything through their eyes is accurate. Having been a Script Supervisor, I find it extremely beneficial to take lots of pictures because there are so many things that take place and it is almost impossible to remember every bit of detail! Script Supervisors also make sure Location Audio and the 2nd AC know what takes are coming up. When the camera is rolling, the Script Supervisor’s eyes never leave the monitor. They have to remember everything that the Actors do and make sure their lines are correct. They line the script making sure everything is covered and make notes with the Director’s comments. 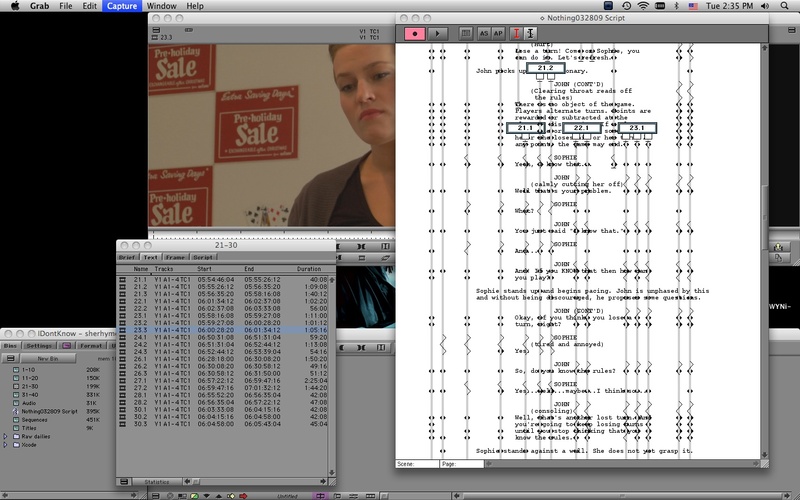 The lined script is the blueprint for the Editor cutting the film. At the start of each shot they write down the shot number then draw a vertical line down to where the action or dialog stops. These lines can cover multiple pages for a master shot for example or an 1/8th of page for an insert. 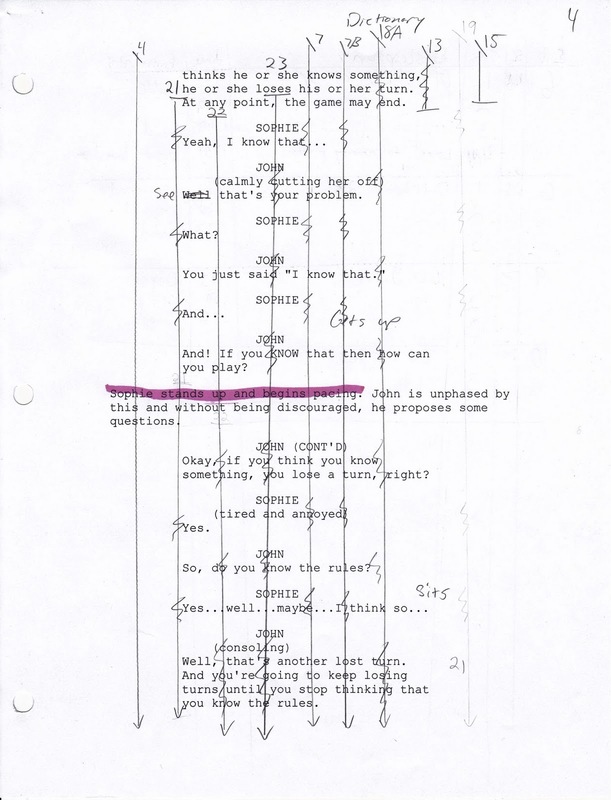 “Wiggly lines” are drawn through off camera dialogue or actions. This provides the editor with a quick sight-reading as to which characters are speaking on camera and which are off. Example of a Lined Script. At the end of every shooting day, a Script Supervisor compiles a report to give to the 1st or 2nd AD to say what was shot that day and what still needs to be done. Copies of these reports, lined scripts, and facing pages along with camera and sound reports get shipped with the footage to the editor. The Editor who is hardly ever on set uses the Script Supervisor’s notes to figure out what everything is and what the director likes so they can start assembling the film. I come from an editorial background so getting into Script Supervising was easy for me. I already knew what I liked as an editor and what general shots can cover a scene. Script Supervising is very demanding but a great way to work with and meet a lot of talented people. Many people have told me that they couldn’t do the job, that they don’t have the patience or attention span for it. Script Supervisors are always in demand because every shoot needs one. Although Script Supervisors don’t get awards and not many people know they exist, they are extremely essential to making sure a film goes smoothly from pre- to post-production. Hope this was informative enough for beginiers who’ve always wondered what a script supervisor really does. It’s a complex but very, very important job. Below is a music video I directed that Justine was script supervisor on. This video is a script supe’s delight, it requires a lot of attention from a person other than the director because of the complex shot list and repetitions in narratives. One last thing, a scripty’s job is more than just looking at the continuity, so let’s not limit them to being just continuity ADs! Check out Justine’s website and follow her on Twitter! Junkyard Groove – “Let You Go” Music Video from Mihir Desai on Vimeo.